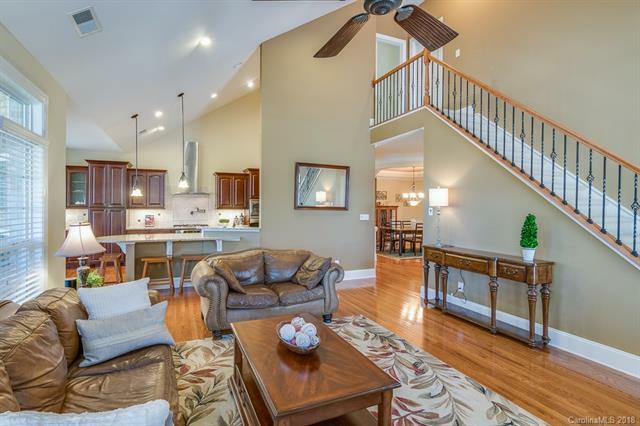 Custom home on 9th Tee Box w/ Exceptional open Floor Plan! Unique ranch w/Bonus & Basement makes this home ideal for entertaining or multi-generational living w/o sacrificing the opulent upgrades you long for. The large gourmet kitchen is the star of the main level and it opens to the spacious family room & cozy Sunroom. The Dining Room is perfect for formal meals & gatherings. Romantic master suite is adjoined by a lavish master bath. The Lower level is AWESOME and features a built-in bar w/ custom cabinetry that opens to a Billard Room and dining area. 2nd Master suite w/ FB makes this ideal for mulit-generational living. The Theater Room is the perfect place to watch the big Games & there is even a large craft/exercise room. Enjoy the gorgeous golf course view from your large screened porch or from the covered patio w/ hot tub. Bonus located over 3 car gar has a private bath making it an ideal guest suite!